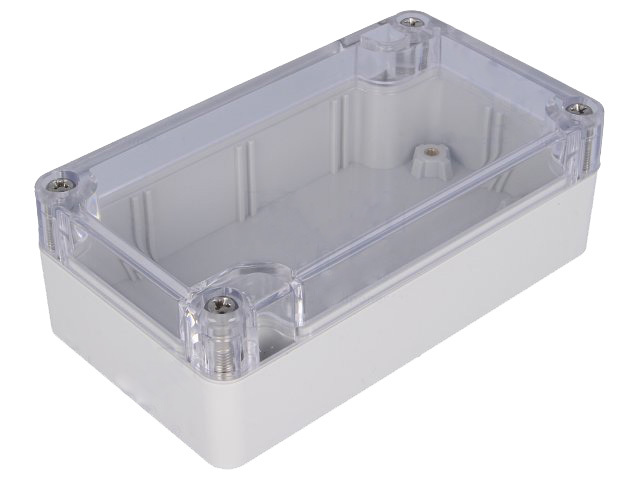 These enclosures consist of polycarbonate. The lid and the base are equipped with a tongue and groove sealing system with a neoprene gasket. 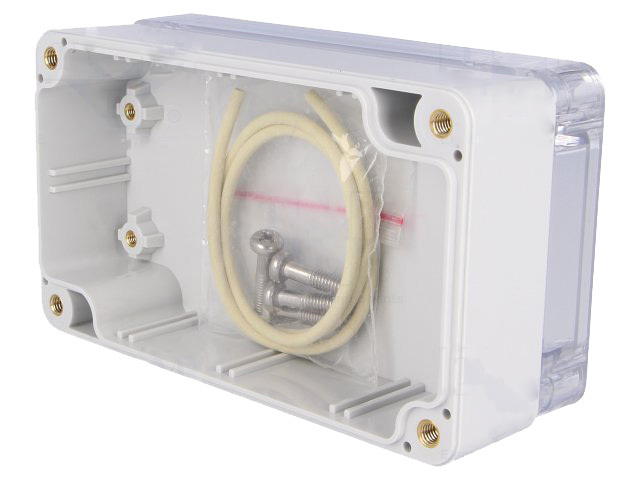 The mounting holes and the lid-fixing screws are located outside the sealed area, which prevents moisture and dust from entering the enclosure. Internal guide slots allow the vertical mounting of PCB assemblies.